A Chinese CEO offers a trip to France for 6,400 of his employees! Major companies for massive inbound Chinese tourists ! This extraordinary journey requires a logistic up to it. It was aboard 84 commercial flights that Chinese workers landed on 5 May in Paris. It’s a major challenge for the French authorities. Atout France, which ensures promoting France abroad, was on the warpath. From the airport, formalities and transfers were supported to facilitate their arrival. Nothing was left to chance. Mr. Li even had red carpet: the Foreign Minister Laurent Fabius received in person the Chinese businessman in midweek, and welcomed his initiative, calling it “extremely interesting culturally, in terms of trade and economic”. Mr Li made it big. For 6400 tourists landing in France, it does not go unnoticed. And that’s especially not the goal. It was a great communication operation. The national and international press extensively relayed Mr. Li largesse, which beat another record that of the longest human sentence sky view. 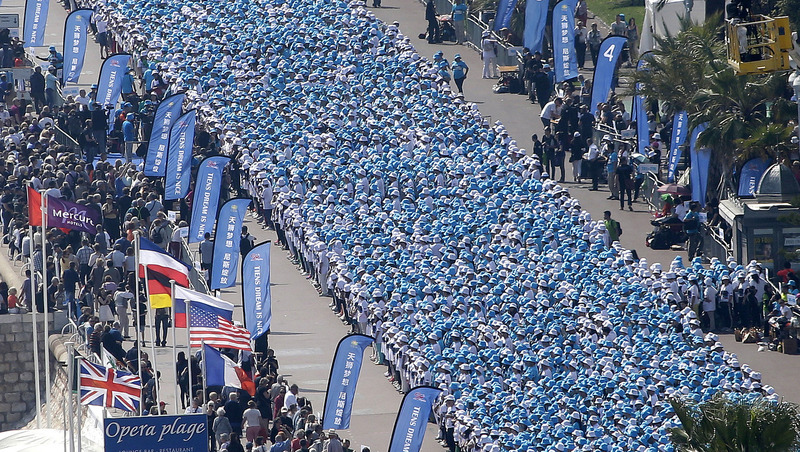 In Nice, its 6,400 employees, dressed in blue, invaded the famous Promenade des Anglais, which at this rate could one day become the Promenade Chinese. 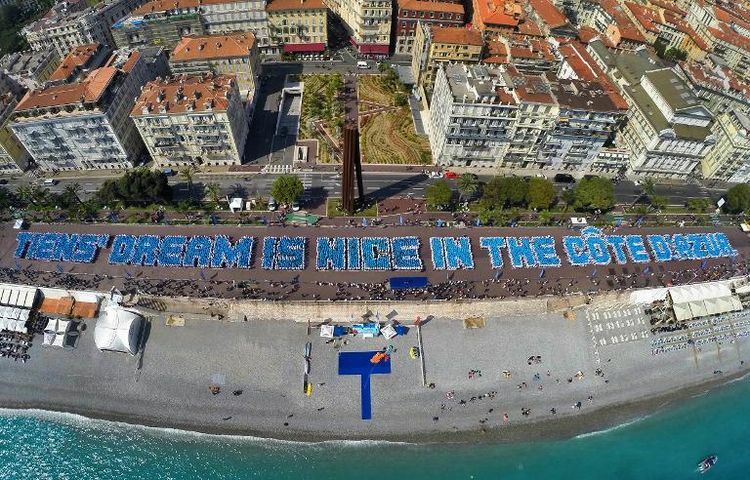 Each of them is placed on markers fixed to the ground to write, “Tiens’ dream is Nice on the French Riviera”, all under the eye of the Guinness Book of experts. Alongside the performance, Mr. Li was even offered a parade aboard an American Jeep World War II. Day of the commemoration of 8 May 1945, the billionaire saluted the crowd. If this trip is a challenge for industry professionals, it also represents an opportunity. A conference of this magnitude is synonymous with profitable business. Customers like Mr. Li interest French economy and Laurent Fabius wants the same thing every day. For the coming of this extraordinary group, 30,000 overnight stays in 140 hotels of three or four stars have been reserved. Galeries Lafayette, luxury stores in France, are opened its doors only for this Chinese group. Indeed, a Chinese tourist spends around 1,500 Euro. 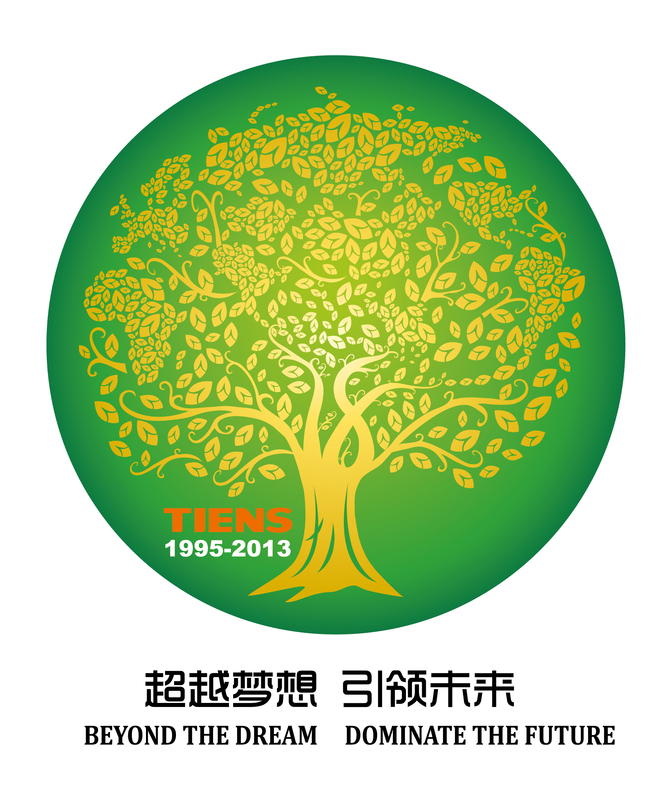 Tiens is a Chinese company, founded by Li Jinyuan in 1995. It’s a multinational specialize in pharmaceutical industry. 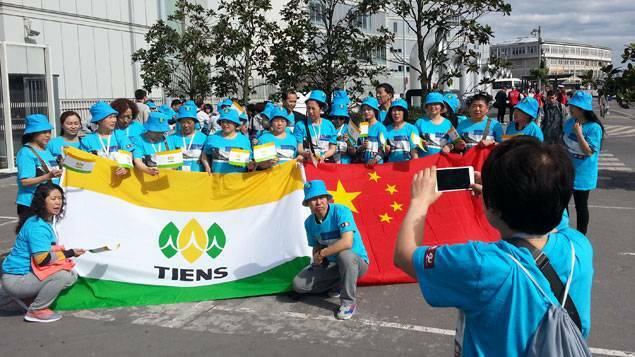 Some of Tiens’ employees have criticized the useless of these products and even the CEO, Li Jinyuan is strongly criticised. Chinese tourists are attracted by France. Not only Paris but also in other French cities that offer a totally different culture from their own. Chinese tourists are also a major market for France; they are more and more Chinese coming to visit the country. Chinese outbound agencies or direct contact with Chinese tourists are not the only way to score big in the Chinese tourism industry. Attracting major Chinese CEOs to come to your country is also a smart way to meet your goal : more Chinese guest to your hotel/resort/tour. You just have to know how to be THE one they will want to contact. There is only one way to do this, use the right strategy through the right channels using the right positioning and message.